Protus3 completed a Security Assessment of the Sarasota County Administration Building. 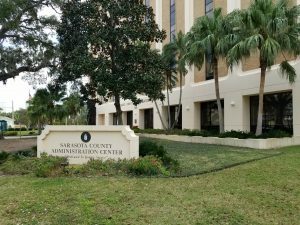 The objective was to obtain a “snapshot” view of the state of security at the Administrative Building, identify gaps in the current security program, and develop a Master Plan that Sarasota County can implement in a cost effective and efficient manner. Sarasota County awarded the project to Protus3 in November 2018. In November 2018, Protus3 held a kick-off meeting with Sarasota County leadership. The site visits began in January 2019. Over a period of two days and one evening, Protus3 conducted meetings, interviews, building tours, the electronic security assessment, and the site lighting assessment. The evaluation included limited policy and procedure evaluation, confirmation of communication between leadership and staff, and review of physical security devices. Assisting with facility / operational physical security improvements, including meetings with key personnel, observation of operations and procedures, and a limited review and assessment of the existing physical security features as well as the current level of facility “hardening”. Evaluating areas for inadequacy and noncompliance from a security perspective. Working with Sarasota County leaders to formulate practical, efficient, immediate, short term and long-term remedies for the physical security in specific areas. Providing overall recommendations that offer support to the existing security program.